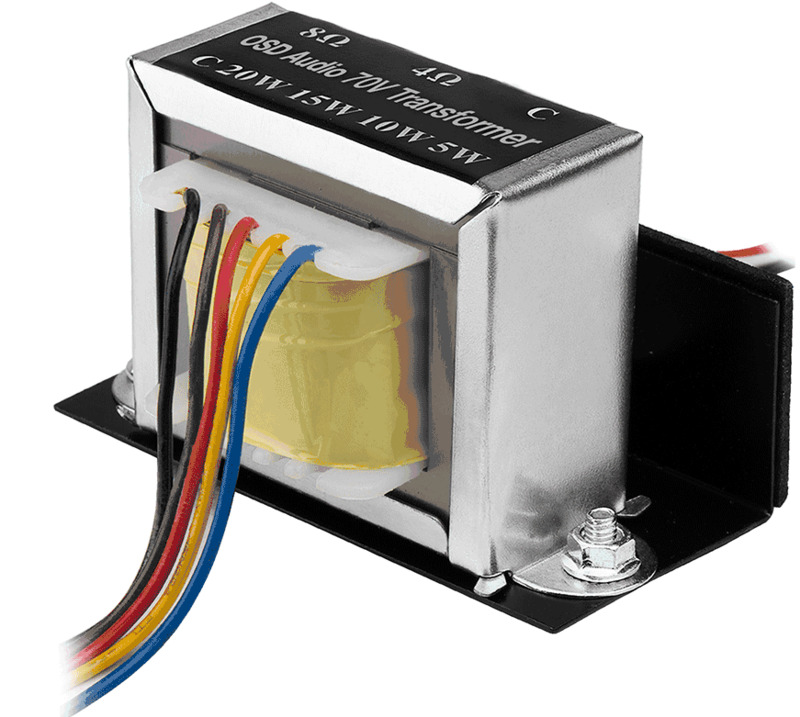 This premium quality transformer allows standard in-ceiling and in-wall speakers to be adapted for use with 70-volt music and paging systems. 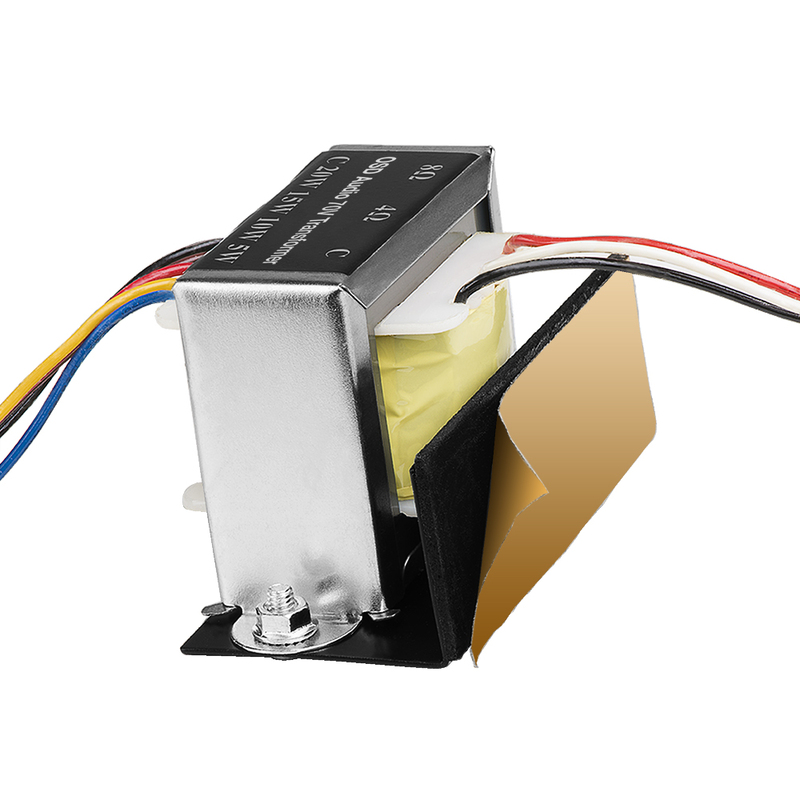 It is high quality transformer with double side adhesive tape for easy mounting. 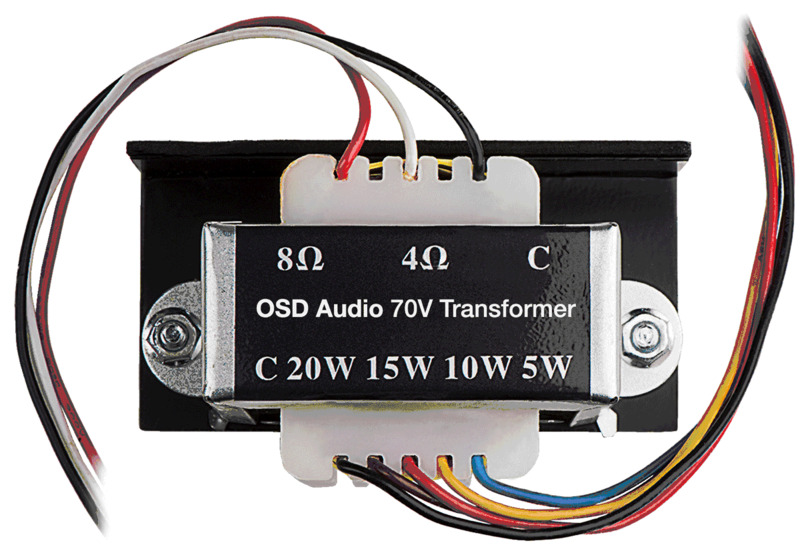 Allows standard in-ceiling and in-wall speakers to be adapted for use with 70-volt music and paging systems. Hi. 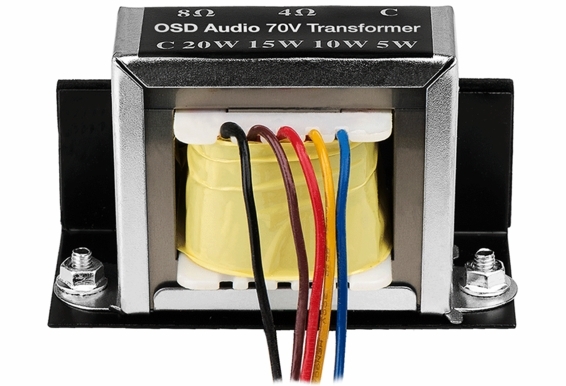 I am having a little issue with the osd sp70t transformer. 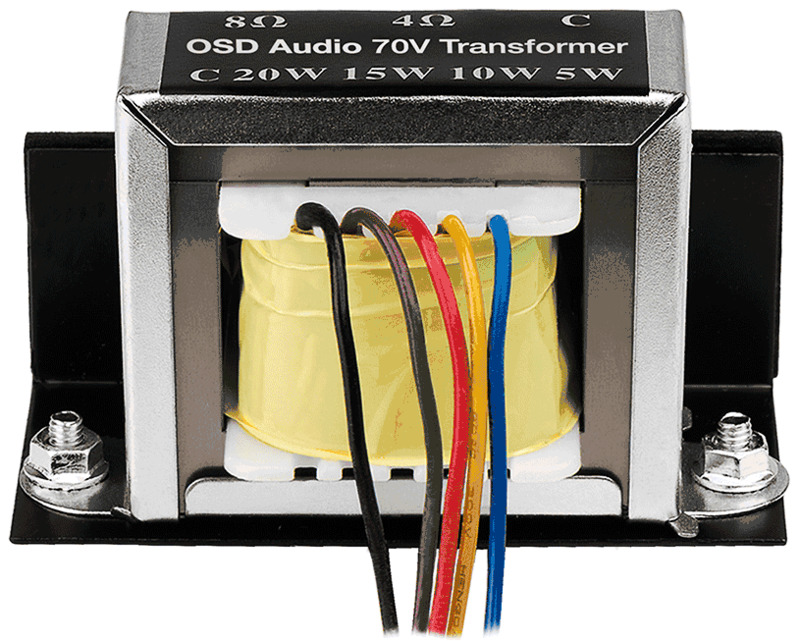 The manual states the the transformer on a 20watt tap should have an homage of 250ohms. 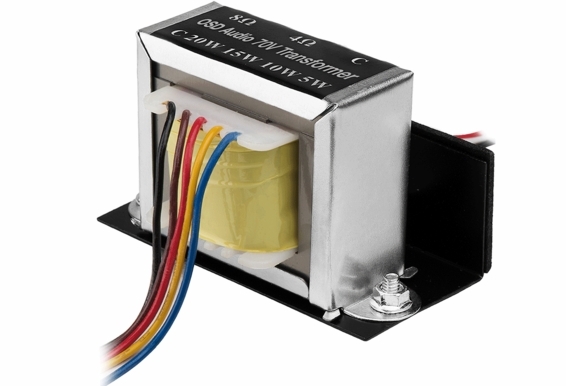 When I measured it with a tester, it measures 13.5ohms. I have several of those transformers and they all read the same thing. 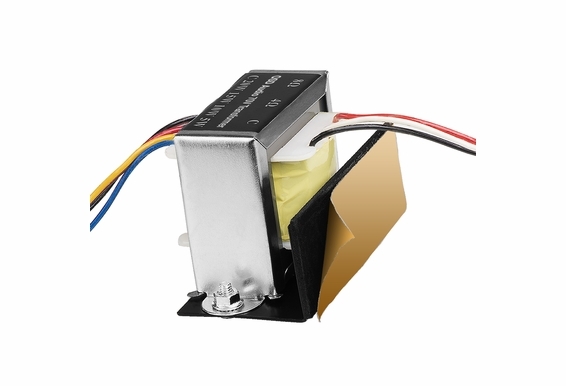 How far apart are the mounting holes in the transformer flanges in case I want to mount it directly to a panel with screws, rather than use the bracket and double sided tape?